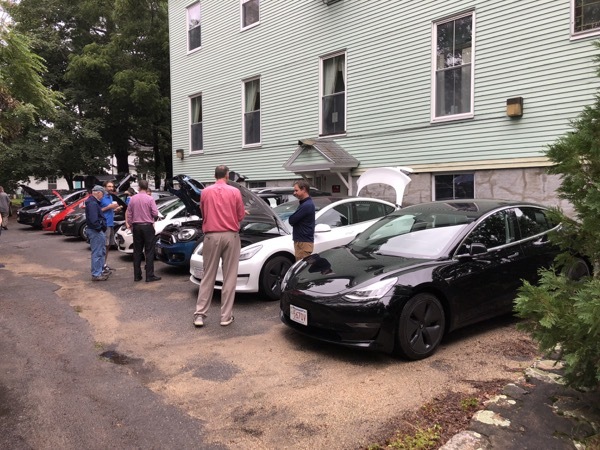 Special thanks to Quirk Chevrolet in Braintree MA for bringing the Bolt and Volt along with the West Boyslton light department. The Tesla Model 3s got a lot of attention. Multiple owners and dealers will be present with the latest plug-in hybrid and pure electric vehicles and will be offering test drives. A solar company will also be present. This is a great opportunity to test out an electric vehicle without the typical dealership setting of possibly being pressured to buy. Pizza and other refreshments will be served. At around 7:30, we will head over to the nearby Draught House for dinner. Registered attendees report 186,704 electric miles driven.